The establishment of the Osteopathic Physician Special Interest Section was approved by the WADEM Board of Directors in December 2010. The section is open to all members of WADEM in good standing. Mission: To pursue academic excellence in international disaster preparedness, response, recovery, development, prevention, and mitigation. Vision: To expand the role of the osteopathic physician in global health and humanitarian assistance. Invest in the future through the mentoring of students. Originally from Missouri, Dr. Canton earned a DO at Kansas City University of Health Sciences on an Army scholarship. In 1988, he completed a family practice residency at Southern Illinois University, and in 1999 he concluded both an MPH and a fellowship in Occupational and Environmental Medicine at the University of Washington in Seattle. 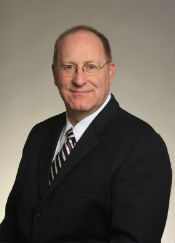 Dr. Canton added JD to his CV in 2004, after graduating from Concord University School of Law in LA and passing the bar. In 1990, he was a flight surgeon and part of the first Army medical unit deployed to Saudi Arabia as part of Desert Storm. He left the Army in 1992 to transfer to the Coast Guard. During his years in the Coast Guard, Dr. Canton was the Chief of Health and Safety in New Orleans, a flight surgeon and staff physician in Port Angeles, Washington, and the Chief of Operational Medicine for the US Coast Guard Atlantic Area, where he provided professional oversight for 25 clinics with 150 providers and assets in Iraq, Kuwait, and Puerto Rico. For nearly three years, Dr. Canton was Chief Medical Officer for the National Disaster Medical System (NDMS) in Washington, DC, part of the US Department of Health and Human Services. In 2005, while Dr. Canton served as Chief Medical Officer, NDMS had as many as 30 sites set up along the Gulf coast to provide care for victims of Hurricane Katrina. Over the course of several months, the teams treated over 180,000 patients across the hurricane-ravaged South. Having retired from uniformed Federal Service, Dr. Canton is currently serving as Vice President for Medical Affairs at Emanuel Medical Center in Turlock, CA. He also serves as the Medical Director for the Stanislaus County Medical Reserve Corps. Col. Bograkos has served both the Army & the U.S. Air Force as a military Flight Surgeon, Family Medicine, & Emergency Medicine physician. Operational experiences include MP BN Surgeon, WMD SOD, & NATO PK Division Surgeon, Pentagon’s "Civil-Military Emergency Preparedness" office as a Bioterrorism/ Medical Consultant (PfP Black Sea Initiative). 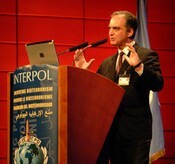 Dr. Bograkos briefed at the "First Interpol Global Conference on Preventing Bioterrorism" in Lyon, France,(2005), has instructed with DoD, DoJ, DHS, and NATO. Dr. Bograkos served as an instructor with the "National Center for Biomedical Research and Training", and as the “Chief Medical Officer & Chemical- Biological Expert Consultant” to the Director of Operations, Bureau of Immigration & Customs Enforcement, Department of Homeland Security (2003-2004). In September of 2005, he returned to active duty service to focus on the “Homecoming” of our returning soldiers. His efforts were directed towards bridging trauma care, physical & psychological recovery, as Chief “Warrior Transition Division”, Clinical Operations, North Atlantic Region Medical Command (2006-2009). Col. Bograkos served as a medical SME / IG with the Department of the Army's Inspector General prior to his retirement from the Army. Dr. Bograkos is a member of ACOEP's "EMS Committee", ACOFP's "Public Health Committee", and Past President of the American Osteopathic Academy of Addiction Medicine. Colonel Bograkos graduated from the US Naval War College with distinction in 2009 and received his MA in National Security & Strategic Studies (AOS Irregular Warfare / narco-terrorism) with distinction in 2011. He is a Clinical Professor of Medical Military Science, Family Medicine, and Emergency Medicine at the University of New England College of Osteopathic Medicine. 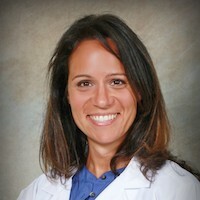 Dr. Sasha Rihter is currently completing an emergency medicine residency at the Ohio Valley Medical Center in Wheeling, West Virginia (USA). She was born and raised in the former Yugoslavia and came to West Virginia from Chicago for medical school and then residency. Outside of work, she enjoys backcountry camping, hiking, and trail running. When the weather warms up, you can find Dr. Rihter in her kayak fishing and enjoying the outdoors. Professionally, she enjoys studying wilderness, austere, and international medicine with a special interest in point-of-care ultrasounds.